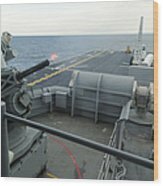 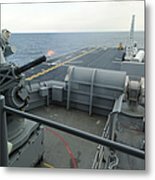 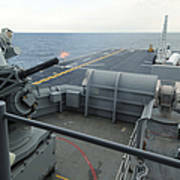 There are no comments for A Close-in Weapons System Fires Aboard. Click here to post the first comment. 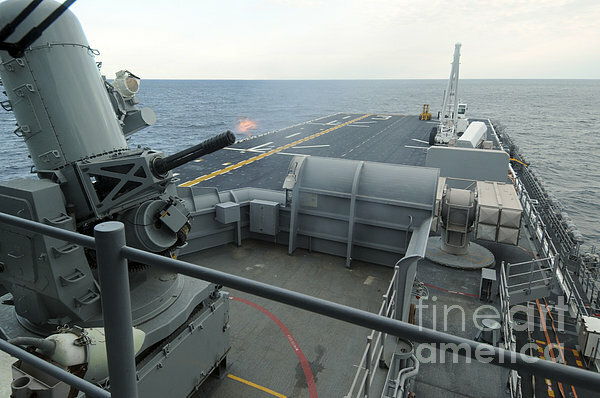 Atlantic Ocean, January 8, 2012 - A close-in weapons system aboard the amphibious assault ship USS Kearsarge conducts a test fire.